This luxury fly-in safari holiday starts at the “petrified” river valley of Deception Valley in the Kalahari. We then move to the water-wonderland of the Okavango Delta before exploring the diverse and wildlife-rich Linyanti and Chobe River systems. The journey ends at the famous Victoria Falls. Arrive in Maun and fly by small bush plane into the Central Kalahari Game Reserve, then go on a game-drive to Deception Valley Adventurer Camp. 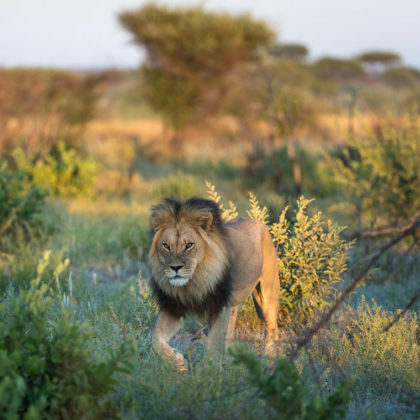 Here you will enjoy extended wildlife game drives in search of desert adapted animals such as the black maned Kalahari lions. 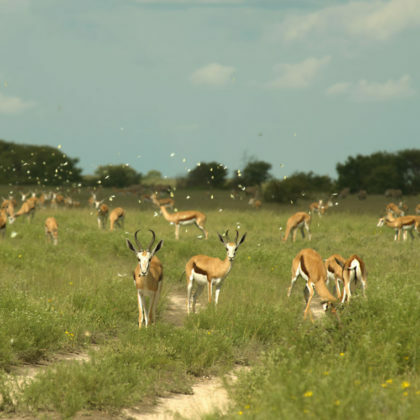 Set out on a full day game drive to explore the vast central Kalahari Game Reserve where you may encounter herds of springbok and oryx feeding on grasses brought to life by the rains. You can watch stately giraffes feeding of acacia trees and if you are lucky see cheetahs on the hunt. Brown hyenas are also commonly seen. You will stop off any enjoy a leisurely picnic lunch during the heat of the day before continuing your extended game drive back to camp. 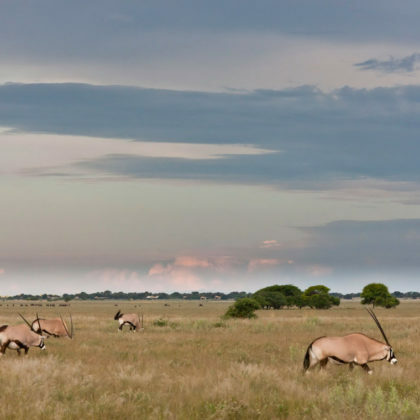 Spend the day further exploring this remote and little visited area of the Kalahari Desert on guided game drives today. A highlight of the desert landscapes are the way the colours of the land change throughout the day, especially at sunset. 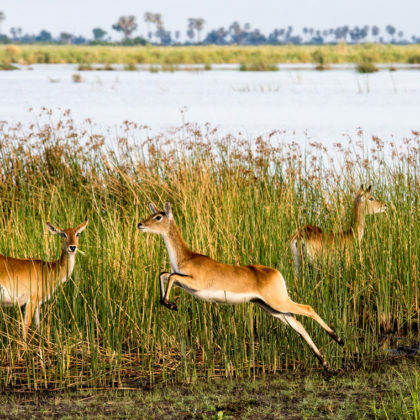 Today, you will travel overland by 4×4 to Maun and then fly to by light aircraft to the south-east region of the Okavango Delta, where a classic Okavango land experience awaits, on floodplains and grasslands often filled with general game and predators. After lunch you will go on a guided afternoon game drive in search of elephant and the endangered painted hunting dogs. This morning you will go on a guided bush walk during which the experienced local guide will teach you how to track animals and about survival in the bush. These walks are also a great opportunity to see the regions bird life. 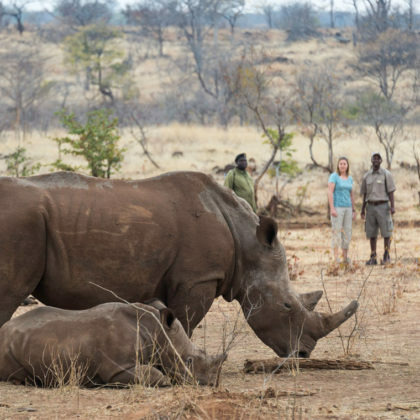 In the afternoon you will once again set out on a guided game drive. 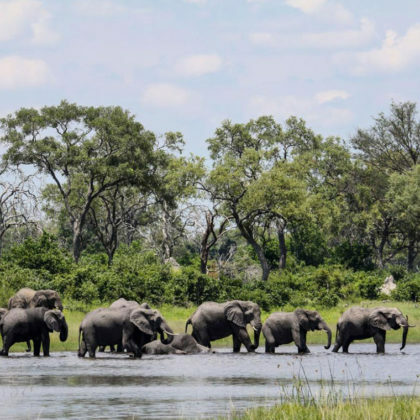 Once again you can set out in search of the wildlife of the Okavango on guided game drives and bush walks. This area of the Okavango has many grassy plains and is home to many grazers and the predators which are never far behind. 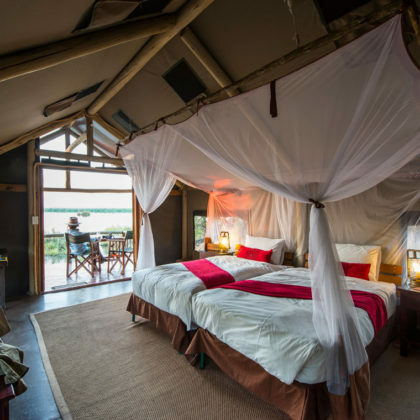 Today you will fly to the Linyanti Tented Camp in the Linyanti Concession. This scenic flight affords wonderful aerial views over the beauty of the Okavango Delta spread out below. This region on the edge of the Okavango is remote and home to a beautiful landscape with a quality of light which is excellent for taking photographs. Head out on game drives to explore the various different habitats of the region. 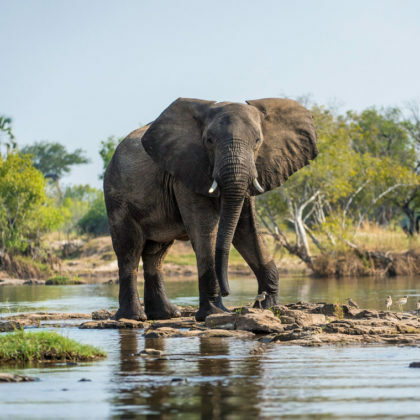 Set out on guided game drives along the scenic riverine forests, the marshy plains and Mopani forests of the region spotting large herds of elephants or searching for rarely seen roan and sable antelope. In the wetter areas you may see red lechwe or the seldom seen sitatunga antelope. Your day will follow much the same routine as the last two days. If you feel like relaxing in camp and soaking up the surrounds you can choose to sit out either the morning or afternoon game viewing activity. However if you are feeling adventurous you can head out on another bush walk. Once again you will experience the thrill of flying in a bush plane to the frontier town of Kasane. 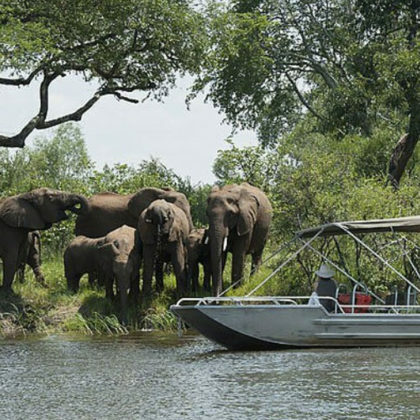 In the afternoon you will enjoy a Chobe River boat cruise. 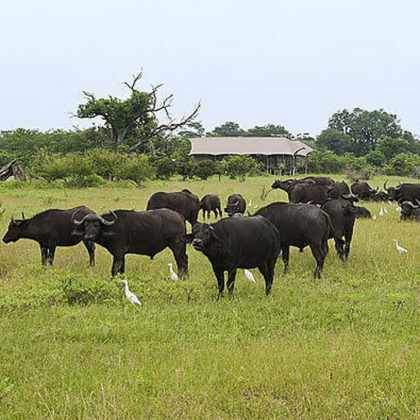 The area is famous for its unique species such as elephant, puku, hippo and large crocodile. Enjoy a light lunch on the boat. You will then be driven to Toka Leya Camp, Livingstone. Along the way you will cross from Botswana into Zambia. 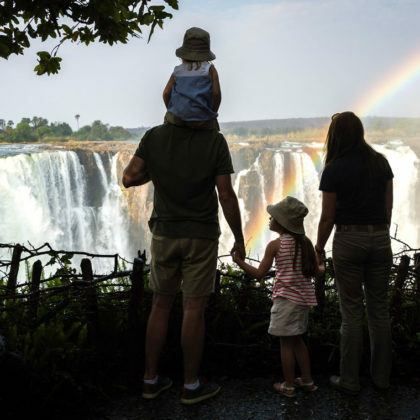 The grand finale is a guided tour of the Victoria Falls, one of the Seven Natural Wonders of the World. At 1 708 metres (5 604 ft.) wide, it is the largest curtain of water in the world. We then bid farewell to our adventure and transfer to Livingstone Airport for your onward travel arrangements.